XRefer helps customers find and save money on a portable storage container in Jacksonville, Florida. We look into each Jacksonville portable storage company in the area and partner with those that provide the best service, and the best portable storage solutions. When you use XRefer to buy or rent portable storage in Jacksonville you will get low rates, top of the line units, and dedicated customer service. Whether you are just looking for a standard 40ft container rental in Jacksonville or you need to lease a bunch of high cube containers in Jacksonville, XRefer's got you covered. Lowest Cost - leasing or renting a steel storage container in Jacksonville is much cheaper when compared to self storage, warehouse space, our constructing a new building. Flexible - short-term and long-term temporary storage solutions available throughout Jacksonville. You can also move your units from one location to another as you see fit, or double your storage capacity with just one phone call to your local XRefer verified Jacksonville storage container company. Customizable - vents, partitions, windows, shelving, doors, lighting, insulation, locking systems, and many more storage container customizations are available in Jacksonville, Florida. 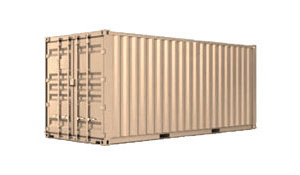 How much does a storage container rental cost in Jacksonville? You can expect a portable storage container rental in Jacksonville to cost $75-$175/month depending on the length of your rental, and the size you choose. Can I lease a portable storage container in Jacksonville? Yes, Jacksonville container leasing is available and a great option for those looking for a long-term solution. Is there an option to buy used storage containers in Jacksonville? Yes, refurbished or used storage containers are an option for those looking to save some money. One-trip containers are a great option and are like-new. 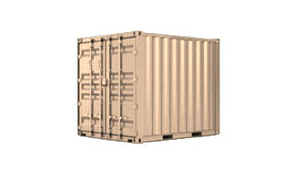 Customers can typically save up to 40% by purchasing a refurbished storage container in Jacksonville. 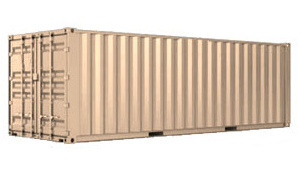 How long have you been selling/leasing/renting storage containers in Jacksonville? Do you have a local office or branch in Jacksonville? Are your Jacksonville portable storage containers inspected to be wind and watertight? Can you provide references to customers who have purchased or rented portable storage in Jacksonville from you? There's a high demand for Jacksonville storage containers. Call or request a quote right now! Serving: Beach Haven, Mid-Westside, Ortega Hills, Sandalwood, Sans Souci and throughout Jacksonville. Serving: Beach Haven, Craven, Highlands, Sans Souci and throughout Jacksonville. Serving: Beach Haven, Cedar Hills, Del Rio, Glynlea-Grove Park, Mid-Westside, Murray Hill and throughout Jacksonville. Serving: Julington Creek, Normandy Estate, Normandy Manor, North Beach, Southsuide Estates, Turtle Creek and throughout Jacksonville. Serving: Englewood, Sandalwood, Southsuide Estates, Sunbeam and throughout Jacksonville. Serving: Beach Haven, Hyde Park, Jacksonville Beach, Sans Pareil, Woodland Acres and throughout Jacksonville. Serving: Atlantic Beach, Greenland, Hillcrest, Hyde Park, Jacksonville Heights, Julington Creek and throughout Jacksonville.